In light of the reactions to my recent post on missional and emerging, and following the same discussion at other blogs who have picked up on the topic, I think I’m going to take a break and rethink a few things. While the comments here remained respectful and conversational, I was tarred and feathered on more than a few other blogs, and received some of the most, uh, colourful emails I’ve ever read. Friend of Missional is the brainchild of The Blind Beggar, and is a very concise but helpful window into the missional church paradigm. Charles Kraft has written some excellent resources on what it means to enculturate or contextualize the gospel into different cultures. I would highly recommend his Anthropology of Christian Witness and Christianity in Culture. Another good missional resource that is probably more popularly accessible than Kraft’s weighty (but excellent) work is Frost & Hirsch’s The Shaping of Things to Come. I like the synopsis given by The Blind Beggar about what being “missional” in a church, para-church, or simple/house church can look like. Being missional is about adapting our methodology, language, and approach to a “foreign” culture: postmodernism. But it’s NOT about changing the content of the gospel in the process. I consider myself a part of the “emerging church conversation”, and have been helped along the way by earlier books like A New Kind of Christian, but more recent titles, such as Spencer Burke’s A Heretic’s Guide to Eternity, make my skin crawl. There is a growing revisionist trend in the Emergent Village crew that I find disturbing, to say the least. Kudo’s for great responses and critiques on Burke’s writings to Bob Hyatt (Oh, Spencer) and Scot McKnight (Heretic’s Guide Book Review). But when I read the opening page of the Friend of Missional website, I feel like I’m being reminded why I’m in the emerging conversation in the first place: to be proactively, strategically, intentionally missional in our 21st century postmodern culture, for the sake of the King and His advancing Kingdom. 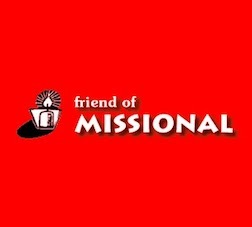 So, call me a Friend of Missional. September 19 is almost upon us, and as all of the truly culturally enlightened are already aware, it's Talk Like A Pirate Day. And here's a Pirate's one-eyed, peg-legged, parrot-pooping-on-the-shoulder hat tip to Brother Maynard for emailing me about this momentus occasion. Yarr! Youth With A Mission as full-time staff. Our journey has often crossed paths with YWAM over the years, and in the back of our minds, we've always known that in some way, some time, YWAM would be a bigger part of our story. Our own DTS experience was... shall we say... tumultuous, but the leadership at YWAM Okanagan has removed the authoritarian leaders responsible. Wendy & I feel comfortable with joining this base at this time. Did we just dive into the Niagara River? I'm not normally one for having a "patron saint"; I usually focus more on honouring the people who have had a profound influence on my life, such as George Mercado. In my early Christian walk, however, I could point to two men (neither of whom I have ever spent any significant time with) who had a huge impact on me through their music and lifestyles: Larry Norman and Keith Green (although, since I have all of their albums, Resurrection Band should also be mentioned). But if I were to have a patron saint, in some respects I'd have to go with Larry Norman. Primarily for something that was said about him many years ago, that Larry was "too rock and roll for the Christians and too Christian for the rock and rollers". 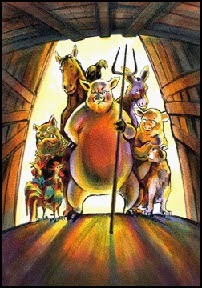 It is precisely Larry's "radical middle" status that most resonates with my own journey. Too charismatic for the evangelicals, and too evangelical for the charismaniacs. Too "emergent" for some, while not "emergent enough" for others. An ecclesiastical anarchist, and yet unwilling to completely write off the "institutional" church. "Fuzzy sets describe groups that have no organizational center. A group of little league parents might perceive themselves as a group in that they have a common interest, but no core values define their existence. "Centered sets describe groups that have joined together a common center articulated by core values. People in a centered set want to go the same place and generally agree on how they will get there and who will lead them. There is a lot of latitude for collegial disagreement on non-core issues and flexibility in forms. "Bounded sets describe groups that not only have banded together around a common center, but that have also clearly defined rules about beliefs and practices. The number of people who can get in the group becomes narrower because the parameters are more defined. "John (Wimber) explained that from the beginning he intended that the Vineyard be a centered set of like-minded churches... John also taught that historically groups couldn't remain in centered sets forever because the rules that determine the insiders and outsiders will eventually have to be defined. His desire, however, was to keep the Vineyard a centered set movement for as long as he could. "In order to evaluate trends and views emerging in the movement, (Wimber) generally chose to let them alone until they could be studied biblically and examined for long-term fruit. In describing this philosophy he used the analogy of growing a bush. It is a temptation to trim a bush back too soon before a gardener knows what he has. This means letting the thing go for awhile, thus having to endure a period when the bush looks messy and untrimmed. Then, when the course the branches are taking is clear, that which is unwanted is trimmed back. This allows for more growth in the rest of the plant." I think there's great value in being a "centred set" as Wimber describes it, and as St. Larry of Norman modelled it. Living in the radical middle. Embracing the tension.